We have been busy preparing copies of one of our more unusual sets of photographs to go on display in Chelmsford Library, before going on tour to other libraries around the county. We are very fortunate to have c.7,000 images from the Spalding family (three generations of the family, all named Fred, worked as professional photographers), taken in the last half of the nineteenth century and first half of the twentieth century. One of the more unusual sets of photographs within the collection is a series of portraits of two young men, Frederick William Park and Ernest Boulton, taken in c.1869. 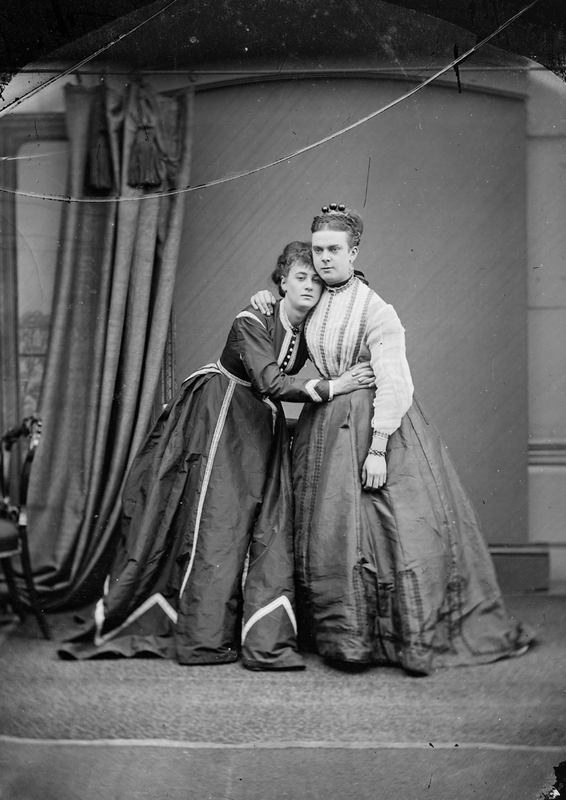 Park and Boulton were popular theatrical players during the late 1860s, and were better known as their female alter egos, Fanny and Stella. Along with several other players they were performing with in Chelmsford, the pair commissioned the portraits from Spalding, and copies of the photographs were sold in great numbers, presumably to their audiences. Female impersonation was a fairly widespread and acceptable form of entertainment, but the pair found themselves in trouble when they began to take their act off stage. Often travelling to and from their performances in costume, initially they attracted little attention, but eventually they gained a certain moral notoriety, visiting theatres in female dress as patrons and frequenting the Burlington Arcade dressed as and claiming to be women. They were arrested by the Metropolitan Police in 1870 and involved in a major court case at Queen’s Bench in May 1871. Park and Boulton were charged with “conspiring and inciting persons to commit an unnatural offence”. Amongst the evidence produced at the trial was the existence of “an album with photographs beautifully executed of Boulton in female attire”. Possibly this could have included Spalding’s studio portraits. It is not known whether Park’s family connections in the legal sphere – his father was one of the Masters of the Court of Common Pleas – had any significant part to play in the trial, for Park’s father appeared as a witness for the defence and the two men were eventually acquitted. The verdict was greeted with popular acclaim and Park and Boulton disappeared from the public eye for good. A selection of Spalding’s portraits of Boulton and Park will be on display in Chelmsford Library throughout March, before touring around other libraries around the county. The display marks the publication of a new book investigating the case by Neil McKenna, Fanny and Stella: The Young Men Who Shocked Victorian England, which will shortly be available to borrow from Essex Libraries. Neil McKenna will be reading extracts from his book and taking questions at Chelmsford Library on Thursday 14 March 2013 at 7:30pm as part of the Essex Book Festival. To book tickets please call the Box Office on 01206 573948 or book online. 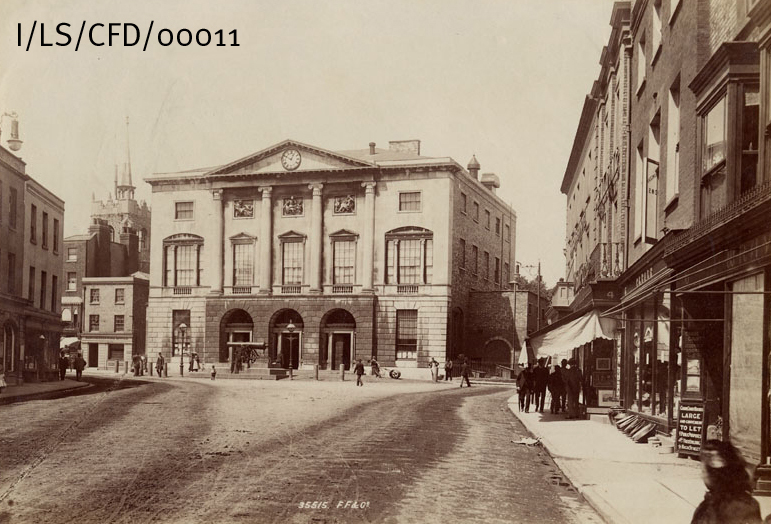 Shire Hall is one of Chelmsford’s most significant landmarks, and features heavily in our collections of images of the historic city centre. From its opening in 1791 until 2012, Shire Hall served as the County Court. 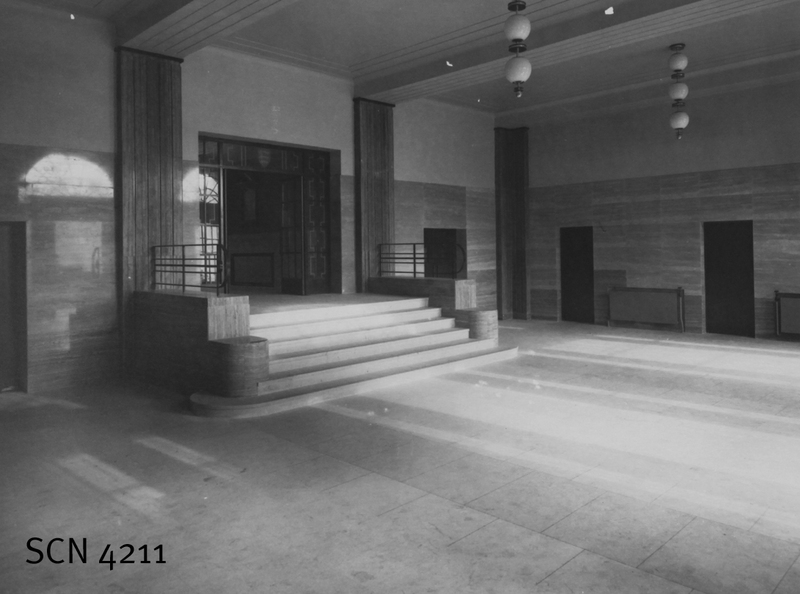 As the County Council asks residents to submit ideas for the building’s future, we took a look back through the archives to see what they reveal about the Hall’s past. Shire Hall replaced two earlier buildings which served as the county’s court rooms. The Tudor Market Cross, or Great Cross, had been built in 1569, replacing an earlier Medieval building, and it served as both market place and court house. The ground floor was open-sided, with enclosed galleries above, as depicted in John Walker’s map below. 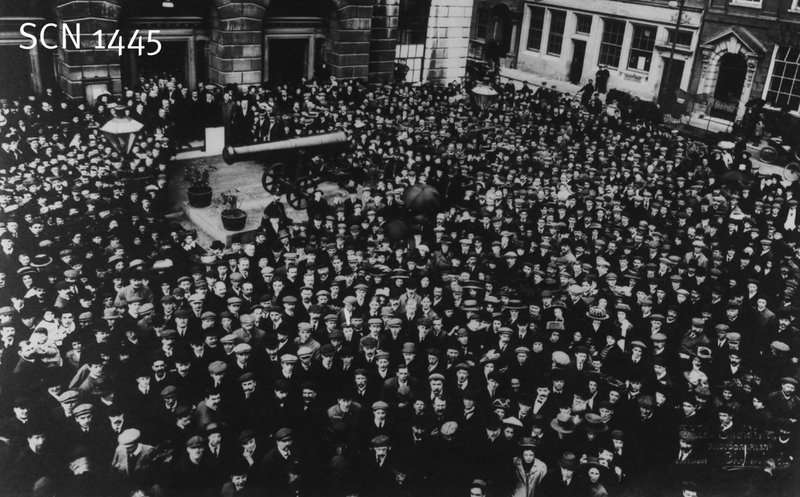 Despite the fact that it was open to the street and dusty, draughty, and noisy, the county Assizes and Quarter Sessions courts were conducted in the open piazza on the ground floor, and corn merchants conducted their trade there on Friday market days. 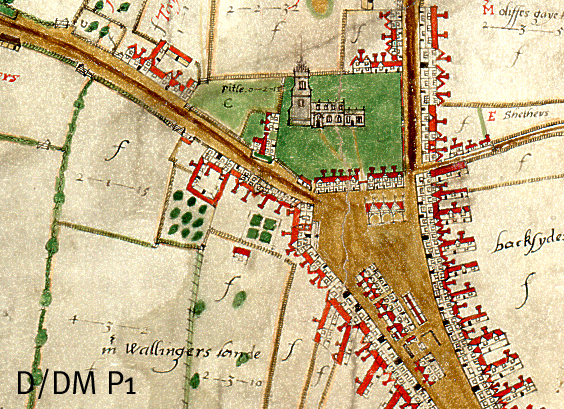 At some point between 1569 and 1660 a second, smaller court building was built, apparently on the west side of the Great Cross, known as the Little Cross. While the Great Cross continued to host the Crown Court, the Little Cross hosted the Nisi Prius (civil) Court. 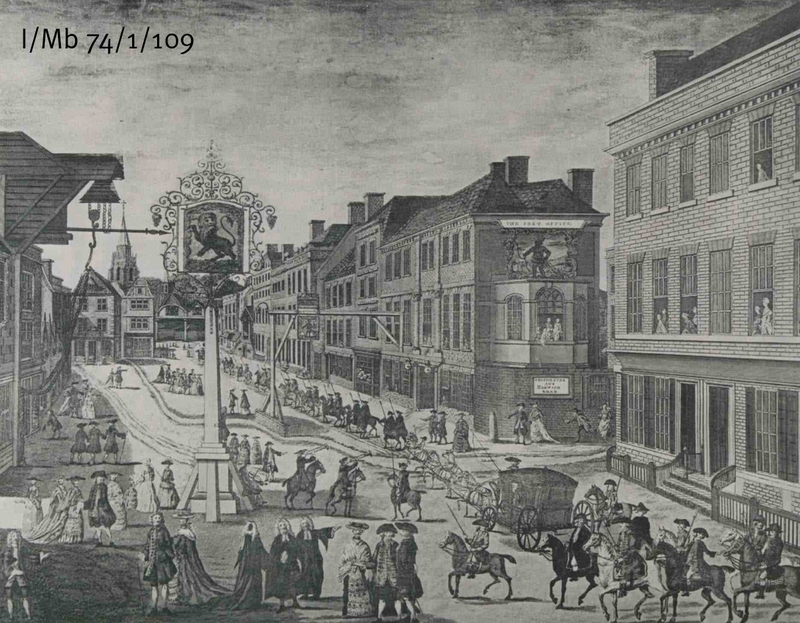 In October 1788, the Tudor court houses were condemned by the Quarter Sessions as ‘not in a fit condition for transacting the publick [sic] business of the County’, and the County Surveyor John Johnson was commissioned to build a new ‘Shire House’. The authorities quickly settled on a site for the new building at the north end of the High Street, between the market place and the churchyard, which was then occupied by the existing court houses and several private properties. The new building was to be set further back from the market place, offering some relief to the traffic bottleneck at the top of the High Street. We are fortunate to have John Johnson’s original plans for the building, including elevations of the south, west and north sides of the buildings, and plans of each of the four storeys, with the plan for the ground floor including internal layouts for the Nisi Prius and Crown Courts. In 1789, a county rate was levied to raise £14,000 to buy the site and construct the new building. 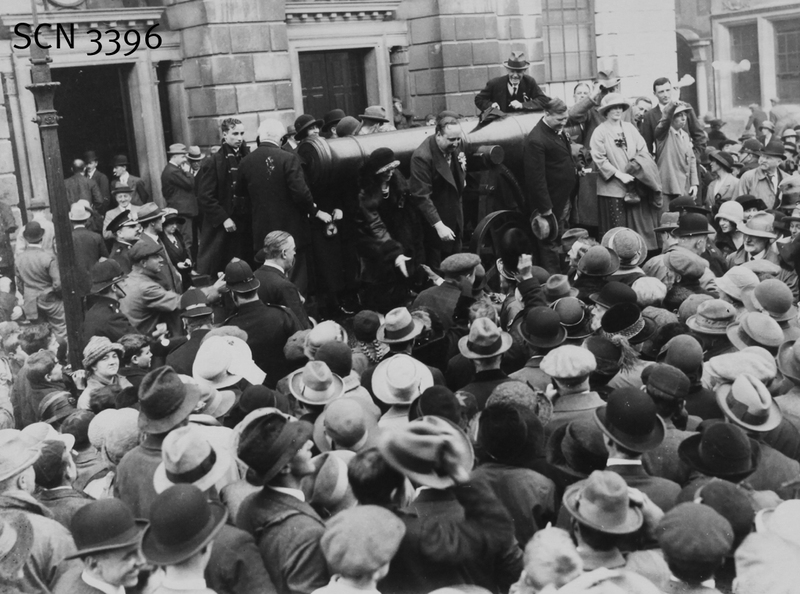 The builders of Shire Hall encountered some of the problems experienced today when working on enclosed sites in built-up areas; the old courts were not demolished straight away as they had to carry on functioning, and the churchyard could not be turned into a builder’s yard, so a field was leased in Duke Street to assemble and store materials and carry out preparative carpentry and masonry work. Contractors complained bitterly about the extra time, effort and monetary cost of transferring materials, and also the interruptions to their work caused by the running of the court, and by the annual fairs in May and November. 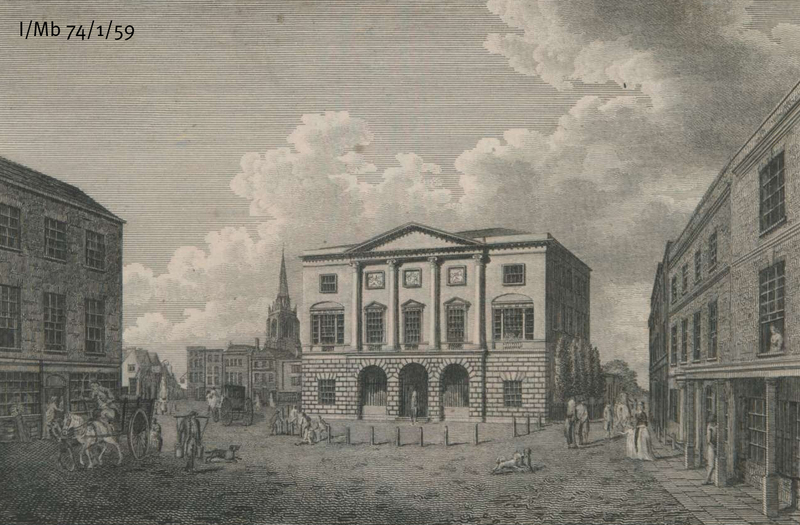 Despite these challenges, the new building was completed in 1791, and the old courts demolished, revealing the impressive Portland Stone façade of the new Shire Hall. The three central arches of the new building led into a large hall, which replaced the old Market Cross and functioned as market space and corn exchange. Beyond the market hall at the back of the ground floor Nisi Prius and Crown Courts, and a retiring room for judges. 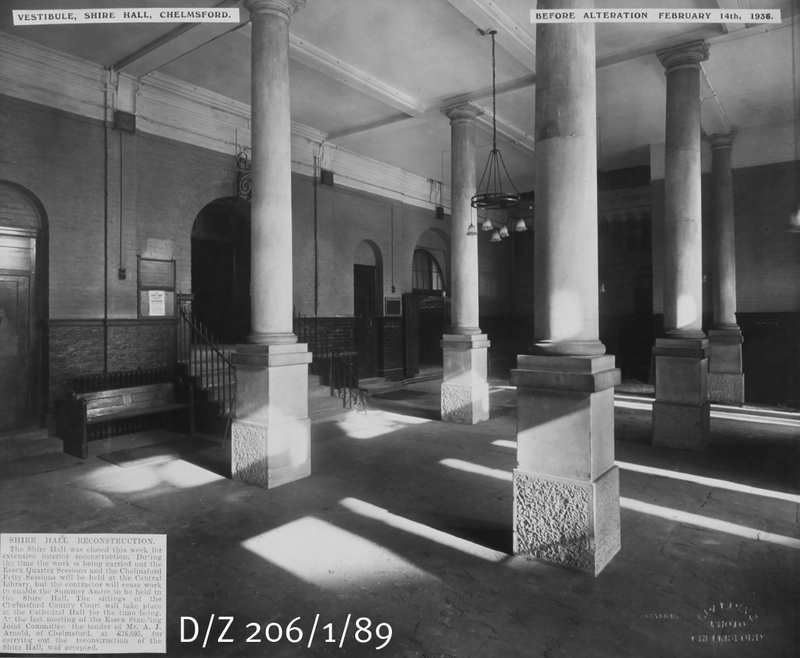 A grand staircase lit by a glazed dome led out of the market hall up to the grand jury room and the ‘county room’ or ballroom, which took up the whole of the front of the first floor. 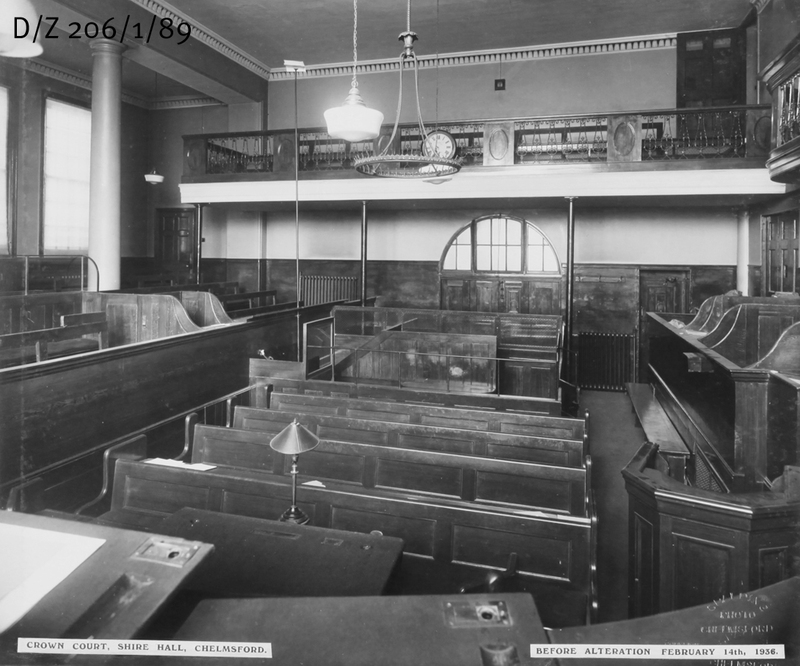 There was also a small waiting room for witnesses and an office for the Clerk of the Peace and his records. The building’s façade included three emblematic figures by John Bacon, representing mercy, wisdom and justice. 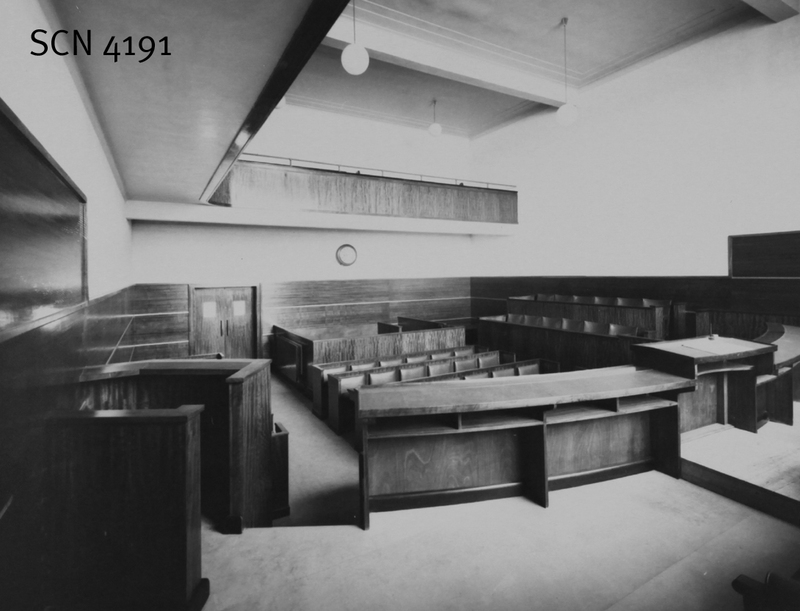 Hundreds of thousands of cases have since been heard in the court rooms of Shire Hall since that time, including witchcraft trials in which women were sentenced to be burned alive, and trials which sentenced people to transportation for what would now be considered minor offences. 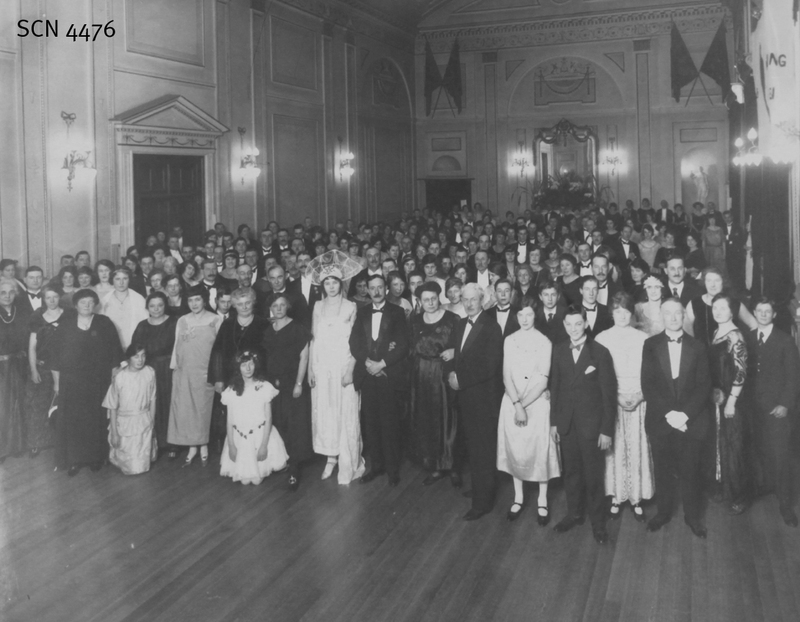 Shire Hall has also been the iconic backdrop to the many large gatherings of Chelmsford residents in Tindal Square which have accompanied momentous occasions such as pronouncements of new monarchs and election campaigns, as well as social gatherings. The exterior of the building is little changed today; the west side was extended in 1851, and the east side remodelled in 1903-06. Shire Hall is an important focal point in Chelmsford’s history, and in the present cityscape. Listed at Grade II*, it is recognised as a building of great significance. If you would like to find out more about this Chelmsfordian icon, you can search for Shire Hall on Seax, or see Hilda Grieve’s magnificent history of Chelmsford The Sleepers and the Shadows, available in the ERO Searchroom and libraries across the county. 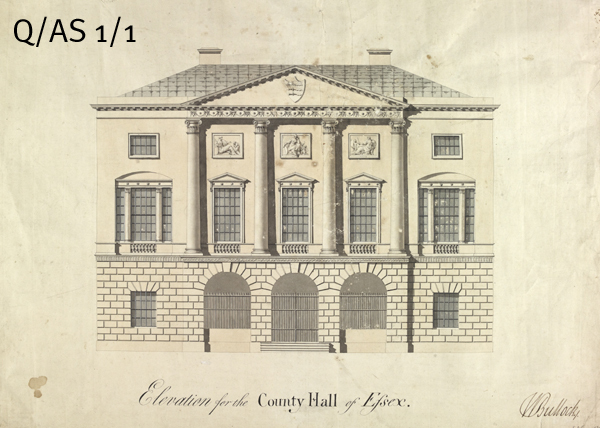 To find out more about Shire Hall’s architect, see John Johnson, 1732-1814: Georgian Architect and County Surveyor of Essex, by Nancy Briggs, again available in libraries around the county and the ERO Searchroom (in the ERO library and also for sale). To take part in the future use of Shire Hall consultation visit www.theshirehall.com or email shire.hallconsultation@essex.gov.uk. The closing date for comments and expressions of interest is Friday 15 February 2013.